Besides the opening of our new office in Shanghai SEDLÁK & PARTNER have also increased their staff. 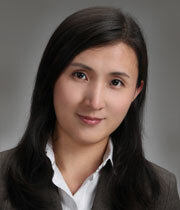 As of May 1, 2011 Mrs. Hanhan Jia has joined our team and will support us in consulting and training with her China expertise. Mrs. Jia has international working experience in export, finance & controlling, social and trend research as well as in the management of small and medium-sized enterprises. Furthermore she brings along expertise in self-employment and business start-ups in China. With this know-how she will consult and accompany not only SEDLÁK & PARTNER but also our customers on site in entering the Chinese market. Hanhan Jia is going to primarily accompany our projects and clients in Asia and due to her fluent language skills in Mandarin, Cantonese, Japanese, English and German be a proficient contact person in consulting and training. As we want to ensure that our clients receive the same high quality standards they are used to obtain from SEDLÁK & PARTNER, we will have Hanhan Jia here in Germany for the next few weeks in order to familiarize her with our understanding and procedures. With her on board SEDLÁK & PARTNER will develop and implement new ideas for the Asian market based on our systemic consulting approach. Mrs. Jia was born in 1979 in China and lived for several years in Germany and Japan. In her leisure time she likes to travel and enjoys learning languages. We would like to give Hanhan Jia a warm welcome in our team and wish her all the best for her new tasks.